We collect information that personally identifies you, such as your name, address, phone number, e-mail, credit card, financial account information, and other payment information, user name and password, and other personally identifiable information that you choose to provide us with or that you choose to include in your AnyFitt profile or account (“Personal Information”). You may be asked to provide us with Personal Information when you register with the Site or use any of our Services, and at other times. The decision to provide this information is optional; however, if you choose not to provide the requested information, you may not be able to use some or all of the features of the Site or Services. We may also receive Personal Information and other information from third parties, such as social media services. By using the Site or the Services you may make certain of your Personal Information available to others. For example, if you post a comment on the Site, other users may see your name, the city you live in and other information from your profile that you provide. The information you provide in your profile may be accessed by users who use the Site and may be accessed by commercial search engines such as Google, Yahoo!, and Bing to the extent that such engines are permitted to access the Site. You will also be providing certain Personal Information to Businesses or Clients, as applicable, when using the Site and Services to book hours, classes or private sessions and take advantage of other functionalities of the Site and Services. From time to time, we may establish a business relationship with other businesses whom we believe trustworthy and who have confirmed that their privacy practices are consistent with ours (“Service Providers”). For example, we may contract with Service Providers to provide certain services, such as hosting and maintenance, data storage and management, and marketing and promotions. We only provide our Service Providers with the information necessary for them to perform these services on our behalf. Each Service Provider must agree to use reasonable security procedures and practices, appropriate to the nature of the information involved, in order to protect your Personal Information from unauthorized access, use, or disclosure. Service Providers are prohibited from using Personal Information other than as specified by AnyFitt. 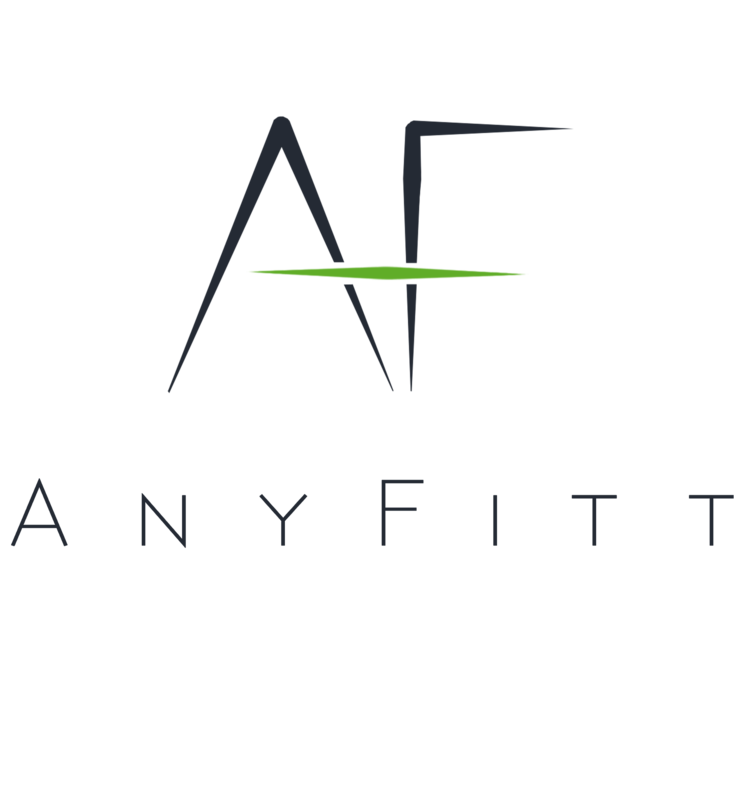 AnyFitt cooperates with government and law enforcement officials and private parties to enforce and comply with the law. We may disclose Personal Information and any other information about you to government or law enforcement officials or private parties if, in our discretion, we believe it is necessary or appropriate in order to respond to legal requests (including court orders and subpoenas), to protect the safety, property, or rights of AnyFitt or of any third party, to prevent or stop any illegal, unethical, or legally actionable activity, or to comply with the law.